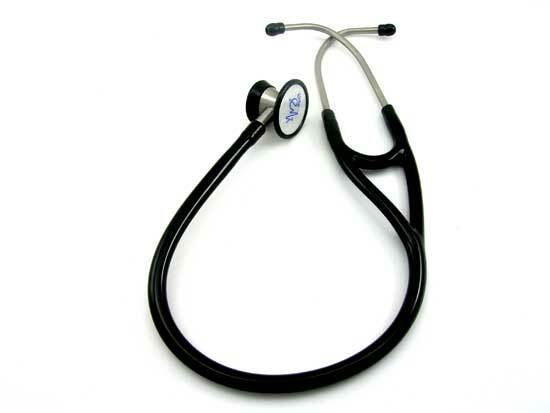 The EMI Stainless Steel Cardiology Stethoscope is uniquely designed to fit the ear structure for maximum hearing efficiency. Features include thick binaural wall tubing and a deep cone shaped stainless steel chest pice with non-chill ring. © 2018 Elite Medical Instruments Inc., EMI. All Rights Reserved.